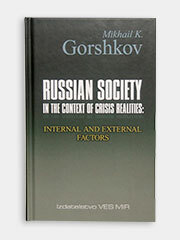 The book has been prepared and published with the financial support of the Russian Science Foundation (RSF) grant № 14-28-00218 «Dynamics of Social Transformation of Modern Russia in Socio-Economic, Political, Socio-Cultural and Ethno-Religious Contexts».
. Gorshkov, Mikhail Konstantinovich. 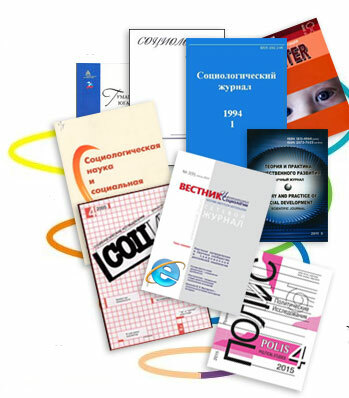 Russian Society in the Context of Crisis Realities: Internal and External Factors (Summaries of the Main Findings of the National Sociological Monitoring Survey) / Federal Center of Theoretical and Applied Sociology of the Russian Academy of Sciences. Moscow: Izdatelstvo VES MIR, 2017.